Each morning I begin the day writing in a journal. I have for years. At first I was particular about the type of journal I used. I bought sketch books because I liked the unlined pages. Those seemed very freeing. 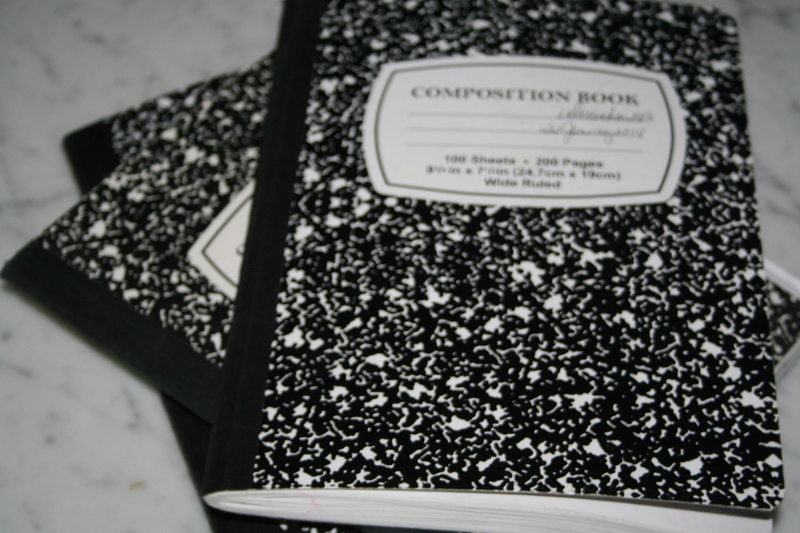 Over the years I have opted for what is available and less expensive, now, simply use school notebooks. Journaling for me began as a means to work through the void of conversations in the afternoon after my husband was violently killed. We would spend time sipping a toddy at the end of the day and have a casual conversation. It was a daily ritual and the biggest void when he was gone. So I began writing what I referred to as “Conversations with John”. Once I worked through the void of the times and the grief began to heal as it does with time. The days moved on. The year past and then I no longer felt the need to write each afternoon to deal with the questions, the grief, the void. A couple years later I read The Artist Way by Julia Cameron which I have written about in a previous blog. As books do, it popped off the shelf for me. I spent hours with the book and to this day, many years later, I reread it from time to time or simply open it to any page and that page seems to be what I need at the time. In her book she suggests that one write each morning. Morning Pages is what she calls it. So I followed her suggestion and have written each morning in a journal for years now. It allows one to work through so much. It is private conversations with one self. With God perhaps. It is a place to express anger, disappointment, sadness, loss, abuse. The pages offer a safe haven of expression. It is much like the diaries of long ago with the little lock and key. Some of you are way too young to even know of those yet it was where teenage girls wrote of their dreams, their private thoughts. Probably mostly about a boy they liked. Life is heavier now and we all need to have a means of release. A place to go without burdening anyone else with our woes. A place to work through things. Once an issue is on paper, it seems to not be quite so bad. It also seems to offer a method of solving or at least working through it. I write of all sorts of things. Like what I did the previous day and what accomplishments I made. I also write about dreams that I have had overnight and what the message may be in those. I write about upsets. Hurt feelings. Concerns. Nothing is too sacred to write about in my journal. While I am certainly not a therapist, I do know for sure, writing in a journal is a wonderful means of therapy in a very civilized, calm way. One can even draw a picture if they like, or mark through something. Misspelled words are allowed as is sloppy writing. It is all for the person writing and has no demands. Absolutely no demands. It simply is a method to get out of ones mind the bothersome stuff. To release it to the page and if not totally let it go in the process, to at least perhaps gain a different perspective or a means to deal. Fun stuff can be written about as well. I sometimes make myself laugh when I recall a good time or funny incident. It provides a means of secondary joy just by writing in the pages of something funny or happy. I end each morning entry on a good note so that the day begins that way. Yet of course just writing and releasing allows the good note to come to the forefront. So it is with this blog, that I suggest to anyone, write each morning. Take a few minutes to just slow down. If it means getting up a few minutes earlier to write, then do so. At first it may be a struggle however as one progresses with the process, it will be invaluable. Things that have been bothersome for a long time will begin to disappear. If you are a creative sort then it will help to move you in the direction of your creativity which is the real purpose behind Julia Cameron’s book, The Artist Way which I highly recommend. Just get started. Buy a simple notebook at the grocery. Or if you must, a fancy journal. Whatever will lead you to the page. You will find that there is true power in journaling and you may find that you enjoy life a whole lot more. Oh yes I know we all are busy. There is no time. You can’t settle your mind long enough to write and you must get into the day. So many demands and such. Yet this is something that if you will just begin, you will find that it really enhances life on so many fronts. It is a place to empty your soul of all the bothersome stuff that bogs one down. It will be so rewarding. So take just a little time in the morning to discover the power of journaling. You will be so glad you did and so much freer in your soul for doing so. It truly is powerful. This entry was posted in Uncategorized and tagged calming, Journals, private thoughts, processing, release, simplifying life, Writing. Bookmark the permalink. Thank you for this blog today. I am going to try it. I believe when you have lived with an abusive person from very young to middle age, you are too afraid to express yourself as it can be the causefor more abuse. I have lived within myself forever and trying so hard to express my thoughts out loud. My oh my I just did. Thank you annamayfair for the encouragement.